Do you love London and all it has to offer? One can guess that shopping and English Premier League football rank pretty high on the list for Singaporeans. 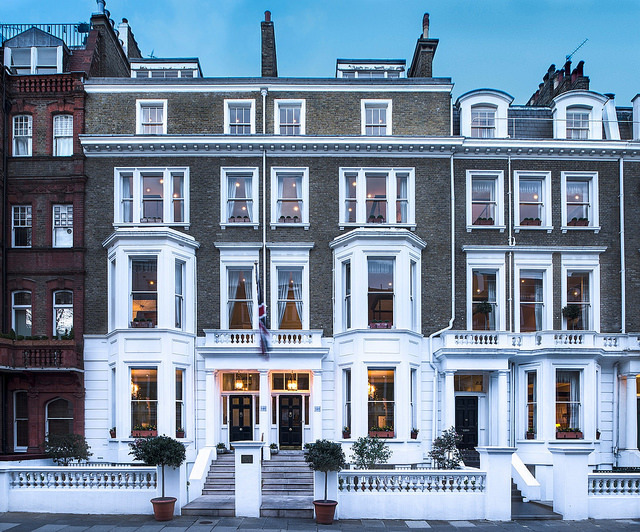 Cranley Hotel, a luxury boutique hotel in the heart of the Royal Borough of Kensington and Chelsea, has come up with a package that aims to marry both shopping and football interests of its guests. The package includes a £50.00 Selfridges voucher to get you started on your shopping spree. Harrods, Harvey Nicholas and many more within easy reach, so you will certainly be spoilt for choice. A personal shopper service can also be arranged to suit every styling requirement, from grooming and make-up, to wardrobe consultation. Revamp your wardrobe with stylish recommendations through a tailor-made shopping experience along Bond Street, Mayfair or Oxford Street. Football fans - you'll know that this year’s FA Cup Final will be held on 17 May at Wembley Stadium. Chelsea fans will love that Cranley is in close proximity to Stamford Bridge. Watch the big four battle it out or an underdog team coming out tops as the Premier League season draws to a close. Cranley’s concierge can assist in lining up a full day at Stamford Bridge, beginning with a stadium tour, lunch at Chelsea’s very own Frankie’s Sports Bar and Diner, and a Chelsea FC Museum Visit. The hotel itself is gorgeous. 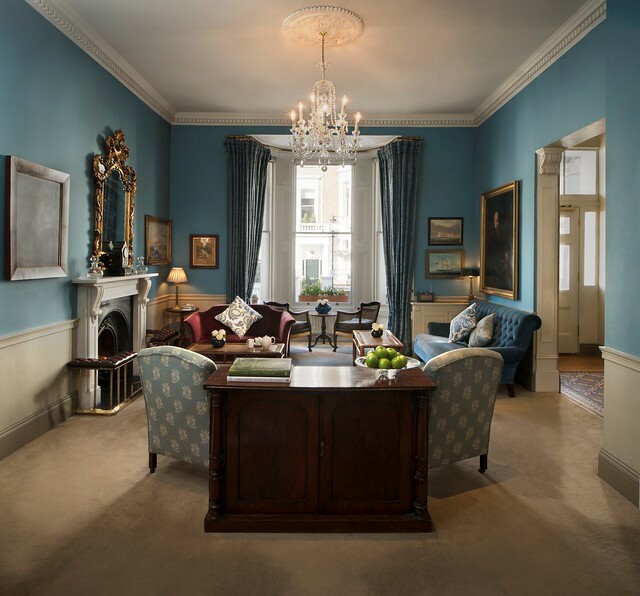 Occupying three Victorian houses that date back to 1869, Cranley offers elegant decorations and beautiful interiors. 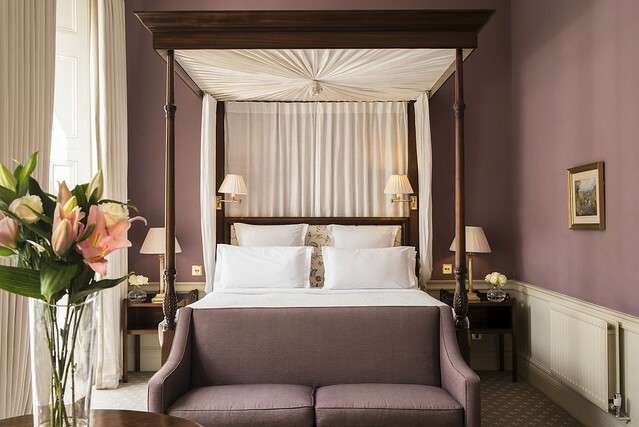 Rooms are coloured by a Regency palette and four-poster beds are handcrafted, while antique mahogany furniture, period oil printings and brass fittings complete the majestic ambience. Shopping and football activities aside, couples can also celebrate their romantic milestones with a Victorian-styled photo shoot within the hotel. Other offerings include complimentary Wi-Fi internet access throughout the hotel, a welcome drink on arrival, daily newspaper service, champagne and canapés every evening, nightly turndown service with home-baked goods, 24-hour room service menu and guest computer and business services. “London is one of the top travel destinations for Singaporeans, and we have noted a shift in consumer preferences for unique experiences in boutique hotels. This summer package is specially put forth for Singaporeans to experience the warm hospitality of Cranley Hotel in a building with historical nostalgia.” said David Garcia Ramos, General Manager of Cranley Hotel. The Cranley Hotel is owned and managed by award-winning Singapore real estate developer, KOP Properties. The KOP Properties' portfolio also includes Montigo Resorts, Nongsa (see review! ), and the Ritz Carlton Residences, Singapore. Past projects include The Spazio, Scotts Spazio and Hamilton Scotts, the world’s tallest en suite elevated car porch residence. KOP Properties was also involved in the extensive refurbishment and renewal of 10 Trinity Square, a listed building in the heart of London’s financial district. I will be heading to London myself at the end of the month, and am going to see Cranley Hotel for myself. Will bring back photos and a review! These photos above are courtesy of Cranley Hotel. 10 Bina Gardens, South Kensington, London SW5 0LA.